Color Nails offers over 100 different gel polishes. You have things to do...Your nails shouldn't hold you back. Gel polish give you the freedom to live your busy life. and the removal method will not damage your nails or surrounding skin. Gel nail polish lets you enjoy up to 14 days of beautiful nail color that will not chip or peel. Improve your nails with an armor coat that says, "see you in 2 weeks". OPI GelColor is just one of OPI’s many revolutionary polishes. Since OPI was founded they have continued to bring women amazing colors, styles, and new products for home use and for nail salon services. GelColor goes on like polish, cures in 30 seconds, and lasts for weeks. 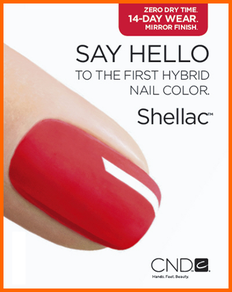 With GelColor you are sure to fall in love with your nails again… and you won’t have to worry about damaging them. UV Gel is a form of artificial nail application. No-Odor, No-Dry time and Mirror finish. UV Gel looks and feels very, very natural, with or without an added tip. UV Gel is also great for strengthening your natural nail, while allowing your nails to grow. There is little to no filling with UV Gel applications. Great for people who can’t stand the filling motion when applying artificial nails. Brisa™ sculpts, enhances and extends nails–or just corrects the tiniest to toughest flaws. The result? Perfect, natural-looking, workable nails flexible enough to go anywhere you want.